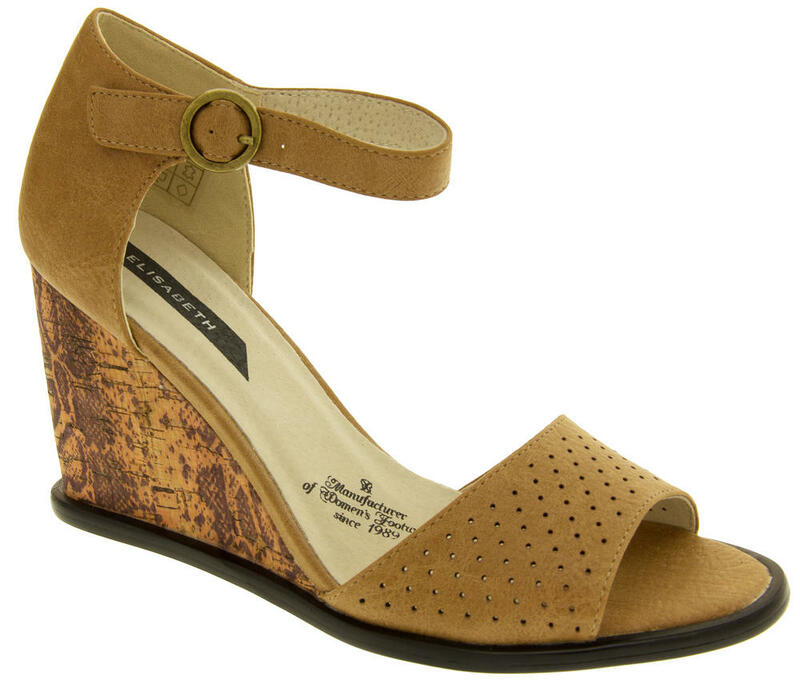 Gorgeous Elisabeth sandals with a high wedge heel. Available in a selection of colours. 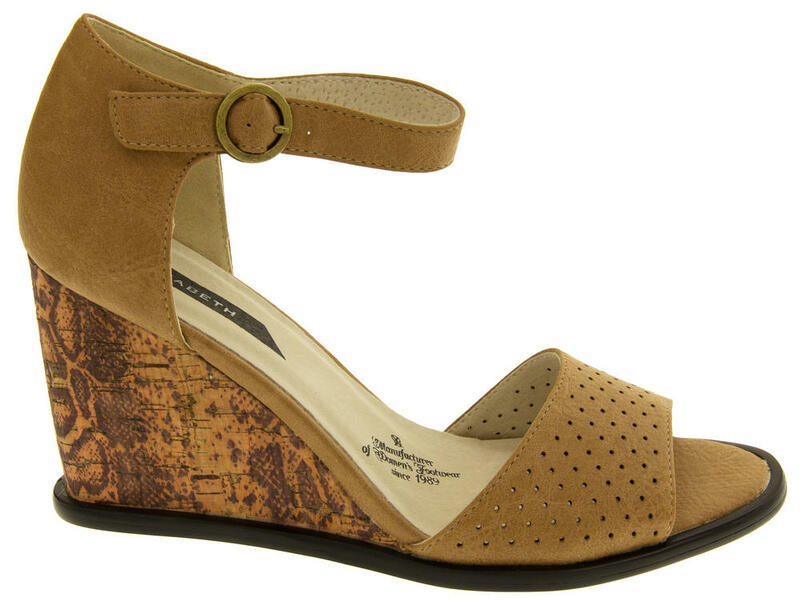 Stunning peep toe heels with snakeskin cork effect wedge heel and a platform sole. 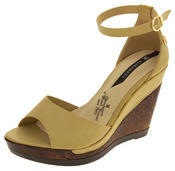 Buckle fastening on ankle strap with stunning metallic gold detailing. Luxurious leather insock with leather lining to ankle cuff. 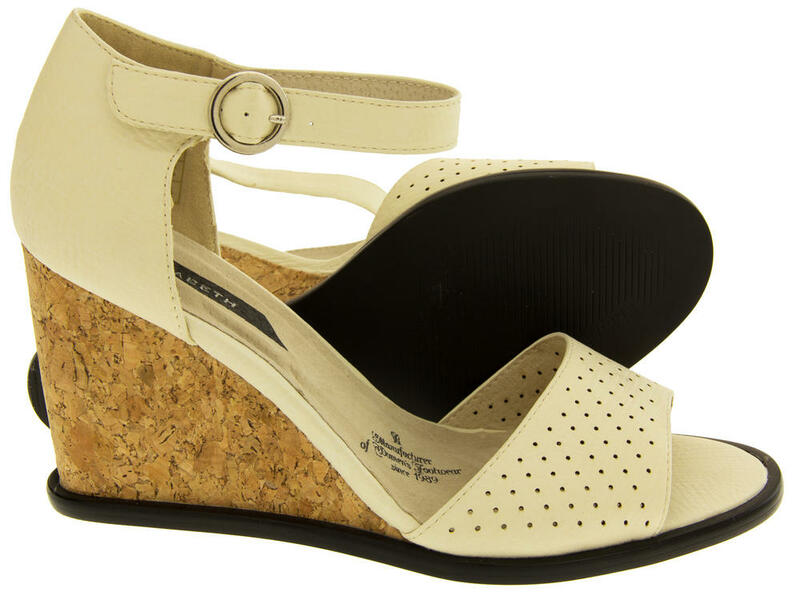 Elisabeth is a brand that prides itself on quality, elegance and design. You will find Elisabeth in exclusive boutiques around the UK, which is where their origins began. Tailored for upmarket clientel you will not be disappointed when you add them to your wardrobe. Why not buy one in every colour?